Adobe has posted a statement on its Adobe Creative Cloud Team blog, updating its users on the feedback they’ve received following the bold move to announce a pay-as-you-go subscription service for its products in the future. 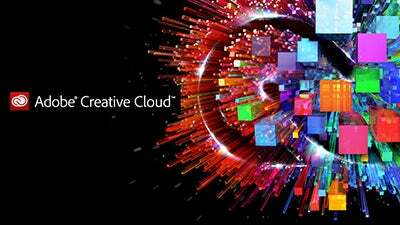 In the update, Adobe admit to receiving concerns about the move to Adobe Creative Cloud and have made it public knowledge there are three main themes coming through from those who object to the new Creative Cloud subscription model. Some of the main concerns have been in regard to file access, with some customers wanting to be sure that if their membership to Creative Cloud lapses; they will still have access to their files. Other concerns have come from photographers, particularly photo-enthusiasts, who are looking for a more tailored offering that focuses on their particular needs. Some customers have also made it known that Creative Cloud is not the right for them and they’d prefer to purchase desktop applications or boxed copies as before. Adobe has been fast to respond to concerns and criticisms of the new subscription model by claiming that the company believes that the move to Adobe Creative Cloud will benefit the wider creative community because of the constant stream of innovation that they’re able to deliver. Adobe has also said that they’re looking at potential offerings that recognize the photography community because it is so broad and has some unique needs. This latest news suggests there’s no intention from Adobe to rethink its Adobe Creative Cloud subscription model and despite the criticism and loud voices from those who object to the idea, it’s the way the company sees itself moving forward in the future and there’s no going back.